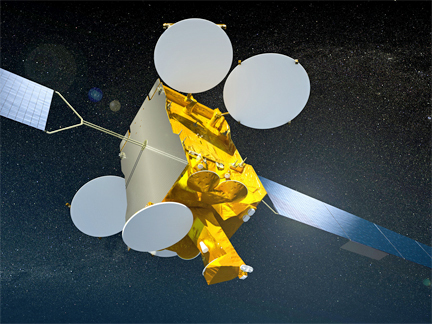 [SatNews] SES (NYSE Euronext Paris and Luxembourg Stock Exchange: SESG) has launched an Ebola-focused education channel via its fleet to be broadcast via satellite in West Africa. The channel, called “Fight Ebola,” will be available to both free-to-air (FTA) TV viewers and payTV subscribers and transmitted from the ASTRA 2F satellite at 28.2 degrees East and from SES-5 at 5 degrees East. The channel aims at informing populations in affected areas about the nature and dangers of the disease and how to fight it.The channel’s message emphasizes the fact that Ebola is spreading and that there is a great need to protect oneself as well as families and the entire community from this catastrophic virus. The objective of “Fight Ebola” is to create an understanding of the disease through the broadcast of educational and factual content. “Through the channel, we hope to further educate people. Many people do not understand this disease and therefore, tragically, do not seek the medical care they need. Fight Ebola broadcasts content to millions of people that need to be informed on the risks of Ebola. The content on the channel comes from multiple sources endorsed by the Luxembourg Ministry of Health”, said Ibrahima Guimba-Saidou, Senior Vice President Commercial Africa at SES. The content contributions are courtesy of numerous international media, help organization and institutions such as UNICEF, Doctors Without Borders (MSF), and End Ebola Now. The program also includes endorsements and appeals from British Premier League football players with West African origins such as Didier Drogba and John Obi Mikel from Chelsea FC, Samuel Eto'o and Christian Atsu from Everton FC, Peter Odemwingie from Stock City FC and Emmanuel Adebayor from Tottenham Hotspur. Artistic rendition of the SES ASTRA 2F satellite. SES-5 at 5 degrees East, Transponder No 4,971, Polarization: Linear-horizontal, Received Frequency:12302 Mhz, Modulation: DVB-S2 QPSK, FEC : 3/4, Symbolrate: 30 Msps.